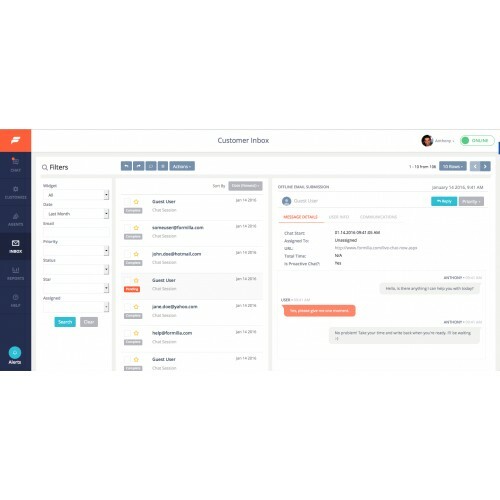 Formilla.com Live Chat Software with real-time visitor monitoring for your OpenCart store. Allow your visitors to chat with you live if they have any questions or need support! We have free and Premium packages available. Follow our installation tutorial to get started. Installs Instantly: Use our Formilla Live Chat web dashboard to begin live chat right away. The live chat button will appear on your OpenCart 2.x store once you activate the extension. 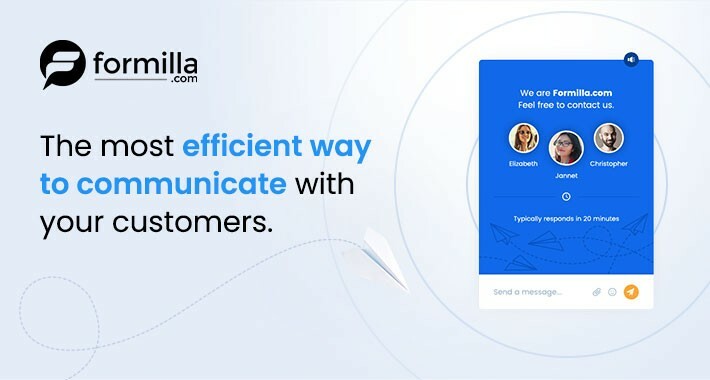 Real-time Visitor Monitoring: Formilla Live Chat real-time visitor monitoring & tracking allows you to see the # of active visitors on your site, & initiate live chats with them. View the visitor country, recently viewed web pages, operating system, browser, referring site, new vs returning user, IP address, & more. Mobile Apps for iPhone, iPad & Android Devices: Live chat with your mobile device or tablet by using our iPhone/iPad or Android apps! 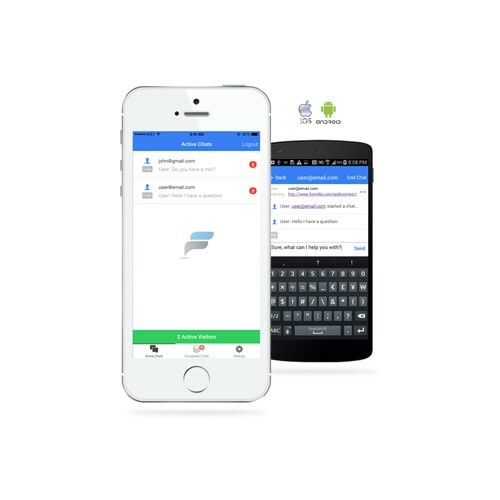 Install our app & simply login to your Formilla Live Chat account to chat with customers from anywhere! This feature is available with our Premium packages. Language Support (International): Our Language support option allows you to customize the text of the live chat widget in online and offline form. With our Premium packages, customize your live chat widget in any language: Spanish, French, Polish, Portuguese, Russian, Japanese, Italian, Korean, Dutch, German, Greek, Chinese (S) & more! 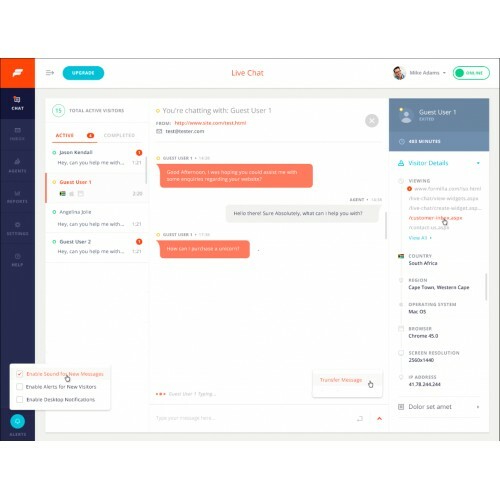 Pro-active Chat: Enable pro-active chat to trigger live chat automatically with a user after a number of seconds. User/Agent is Typing a Message...: Formilla.com Live Chat keeps visitors & agents informed if the User/Agent is typing a message. This improves usability & makes conversations more enjoyable. Desktop Notifications: Don't miss any chats by enabling Desktop Notifications to see an alert box displayed every time you receive a chat. This feature is supported with Chrome, Firefox, & Safari only (IE doesn't support it). 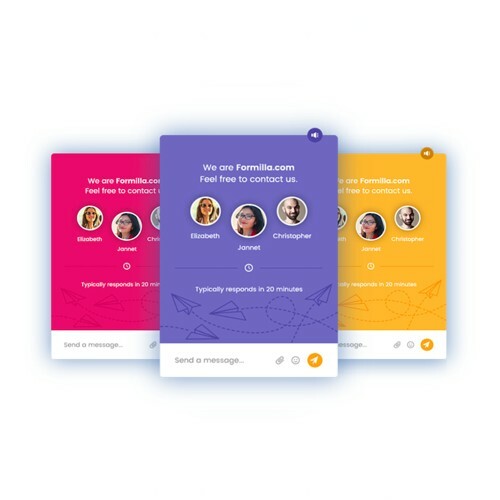 Custom Banners, Colors, and Themes: Formilla.com Live Chat software Premium packages allow you to customize your chat widgets to match your site look & feel. Change the color of the chat button & widget, chat message and font color, backgrounds, etc. Upload an online & offline live chat image to use in your site header, footer, etc. to encourage customers to live chat. [*] Zapier Integration: Automatically post chat transcripts directly to your favorite apps using Zapier. 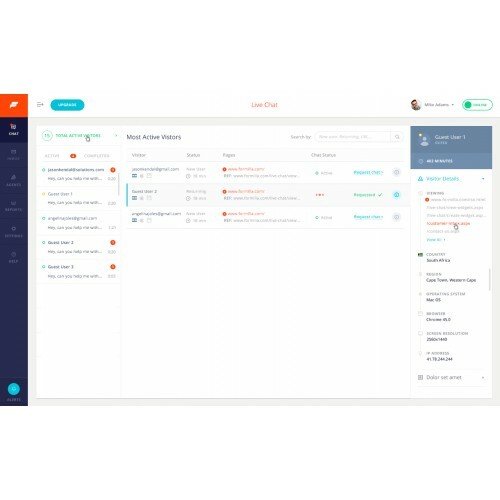 Hundreds of apps are supported, including email marketing tools, CRMs, ticket systems, and a lot more (e.g. Mailchimp, Constant Contact, Pipedrive, Infusionsoft, Zendesk, etc.). This is a Premium package option.